Becoming an alcoholic is not on anyone’s bucket list. Who would ever choose to live a life of misery and ill health, to lose everything one cares about? Alcohol use disorder (AUD) may take hold in ways no one can foresee. From enjoying the craft beer craze a little too much or too-frequent wine tastings at local wineries, acquiring a problem with alcohol gradually sneaks up on a person. As tolerance ramps ups, so does the need to consume more alcohol, and as a result AUD has one it its grip. Alcohol addiction can happen rather swiftly when certain risk factors are present, such as a genetic propensity for it. Other risk factors that can fuel alcohol abuse might include a high stress job, a co-existing mood disorder, marital or family discord, financial problems, or loss of a loved one. Alcohol can become a panacea, a tool used to smooth out the emotional upheavals in life. No one sets out to become an alcoholic. 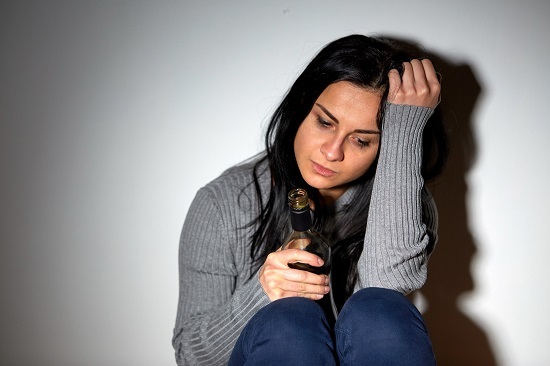 Alcohol use disorder covers the spectrum of alcohol abuse—from excessive drinking that causes negative consequences in one’s life to full-blown chemical dependency on alcohol. According to the National Institute on Alcohol Abuse and Alcoholism, nearly 16 million Americans suffer from problem drinking—15 million adults and over 600,000 adolescents were diagnosed with AUD in 2015. Compulsive drinking that results in alcohol addiction has devastating consequences for the individual and their families. Spent a lot of time drinking? Or being sick or getting over the after effects? Experienced craving, the strong need, or urge, to drink? Found that drinking—or being sick from drinking—often interfered with taking care of your home or family? Continued to drink even though it was making you feel depressed or anxious or adding to another health problem? Or having had a memory blackout? Had to drink much more than you once did to get the effect your want? Or found that your usual number of drinks had much less effect than before? It is never too early to get help for an alcohol problem. The sooner an individual with an AUD gets intervention and treatment, the less fallout will occur in one’s life. An outpatient treatment program for treating AUD is an excellent option for the individual who needs flexibility that allows them to continue with work and family obligations. During outpatient treatment, the client is able to remain at home, or to work or attend school, outside of treatment hours. During the initial assessment and intake interview the level of participation in the outpatient program is determined based on the treatment needs of the client. Help for alcoholism involves a multi-pronged approach that will begin after the client has detoxed from the alcohol in his or her system. At that point, active participation in the various treatment modalities begins. Group counseling. Group sessions provide an opportunity for peer interactions that are facilitated by a counselor. The counselor will introduce a topic and the group can exchange thoughts, experiences, advice, and even gentle criticism in a safe, supportive environment. These group interactions foster personal growth and important insights about their behaviors, choices, and thought processes. Addiction education and relapse prevention. Help for alcoholism includes teaching clients the physiological and neurological elements of how addiction works in the brain. Knowledge of how the brain’s reward system works and adapts to the alcohol helps change destructive behaviors. Relapse prevention is essential to a successful recovery. Identifying triggers—situations, people, places, and things—that lead to the compulsive behavior to drink is intrinsic to an effective relapse prevention plan. Participation in a recovery support group. Clients are encouraged to actively participate, versus just showing up to fulfill an obligation, in a 12-step or non 12-step recovery support group. These groups provide an additional layer of support and accountability in recovery, and foster new sober friendships. Experiential therapies. Mindfulness, yoga, art therapy, and other experiential adjunct therapies enhance personal growth and enlightenment, which deepens their understanding of self. These insights can lead to psychological breakthroughs in addiction treatment. 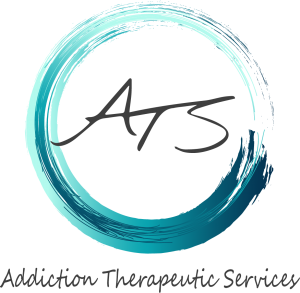 Addiction Therapeutic Services (ATS) is an outpatient recovery program based in Rancho Mirage, California. This program is unique in its blending of authentic compassion for those who suffer from AUD with evidence-based treatment program elements. Clients are assigned a customized treatment plan created uniquely for them, as ATS firmly believes that in addiction treatment, one size does not fit all. Their outpatient program offers help for alcoholism that is designed to heal all aspects of the individual, mind, body, and soul. Family counseling, life skills, anger management, art therapy and psychodrama, mindfulness training, and spiritual care round out this highly effective program. Reach out to our compassionate staff today at (760) 349-7007.